Someday, we hope to live in a world where tourism posters try to lure in travelers to the ultimate destination — a trip to space. 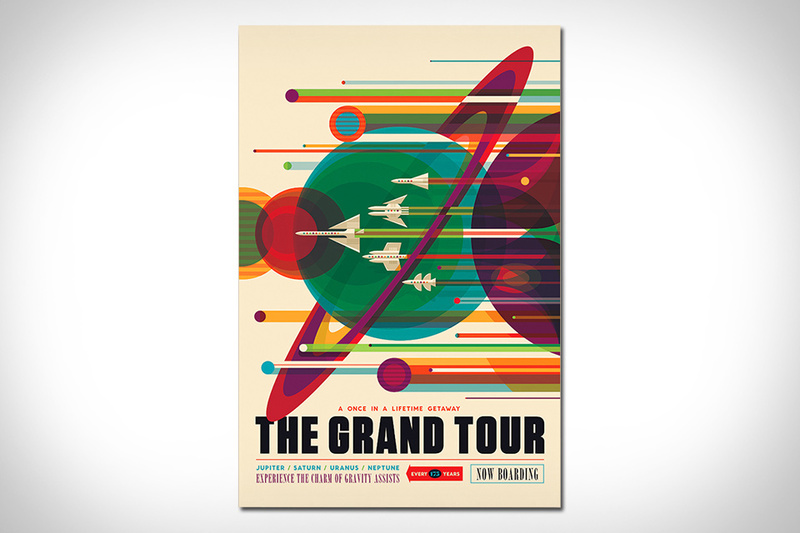 These NASA Tourism Posters were created with that future in mind, beautifully depicting trips to Mars, Jupiter, or Saturn as potential destinations competing for your vacation money. There are 14 in all, but only three are available as high-quality prints from the design firm that created them.